One of the world’s most notable motor sport collections is on display as a permanent exhibition at MOTORWORLD Köln – Rheinland: the private collection of Formula 1 legend Michael Schumacher. Visitors are able to admire go-karts from his early days, sports cars, trophies, unique memorabilia, and naturally most of the F1 cars with which he won seven world championships. 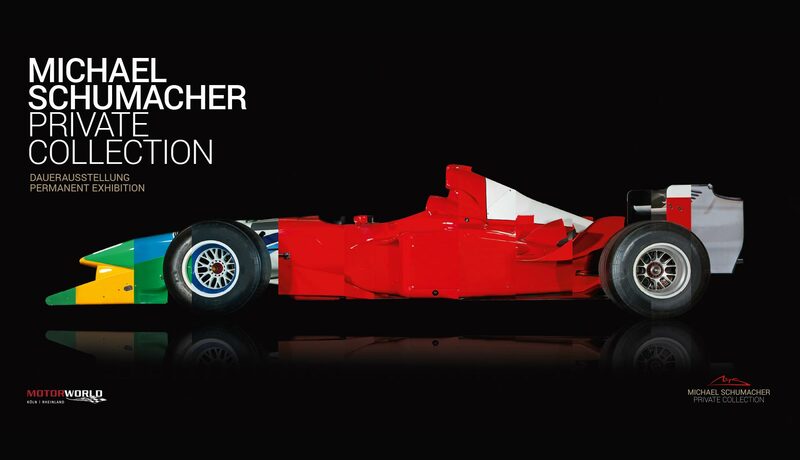 The Michael Schumacher Private Collection has found a perfect home in two senses of the word. Not only offers MOTORWORLD Köln – Rheinland a stylish stage, but it is also very close to Schumacher’s home town of Kerpen. Free admission! Mon – Sat: 7.30 a.m. – 8 p.m. 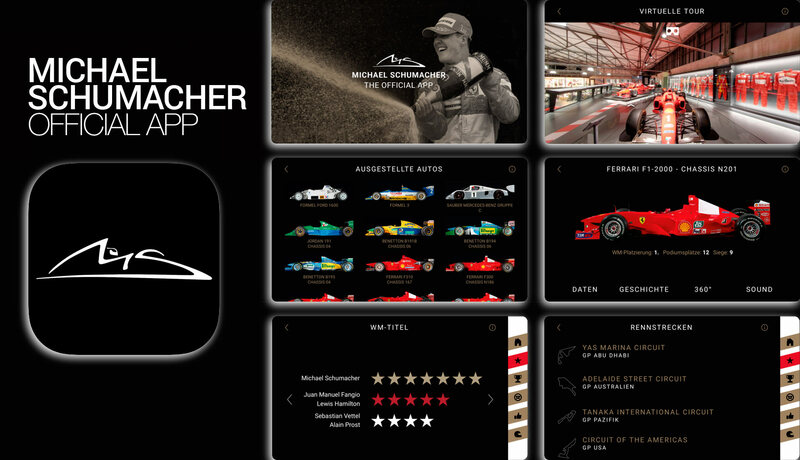 Son, public holidays: 10 a.m. – 8 p.m.
To mark Michael Schumacher’s birthday on January 3, 2019, the Keep Fighting Foundation has released a truly special gift for his loyal fans: the official Michael Schumacher app. The virtual museum is a Grand Prix of memories, and commemorates the career of the most successful Formula 1 driver in history in an unprecedented manner.